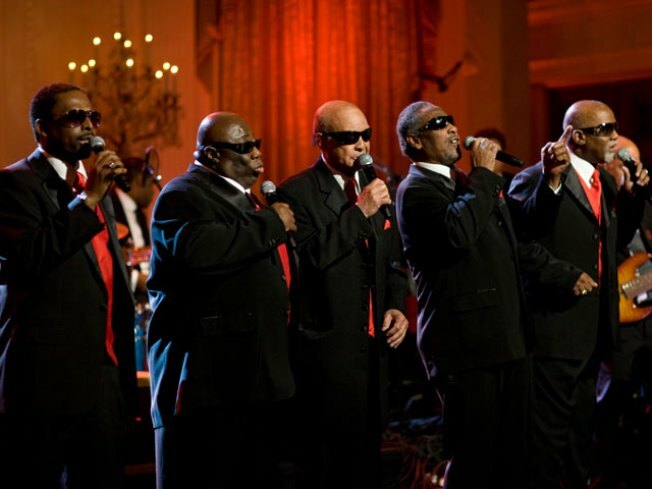 INTERBREEDING: The harmony-tight Blind Boys of Alabama kick off a three-night fest this week at Alice Tully Hall, each night a nod to a different musical genre, each night with its own coterie of incongruous guests. The starter show, Spirit in the Dark, toasts indie rock and sees the likes of My Morning Jacket’s Yim Yames, Yo La Tengo and Lambchop (among other) sharing the stage with the Boys. Postmodern cross-pollination tinged with gospel? Oh yeah. 8PM, also on 7/14 and 7/16. BY GEORGE: The Martin Luther King Jr. free summer concert series returns, packing Brooklyn’s Wingate Field as none other than George Clinton and Parliament Funkadelic hit the stage. All together now: Ain’t no arty like a P-Funk party… 7:30PM. GO WEST: BAM’s second Cary Grant retrospective hauls in a comedy twofer tonight: She Done Him Wrong and Hot Saturday. Notably, the former stars Mae West in the role where she famously utters the line “Why don’t you come up some time and see me?”--not, as it’s often misquoted, “Come up and see me sometime.” (Though she does say that line in the song of the same name, so, you know, potato potahto.) 6:50, 9:30PM.